What do you have to consider when designing lighting at work? Have you ever noticed that when you work in certain place, time tends to fly without the feeling of tiredness but full of energy instead? 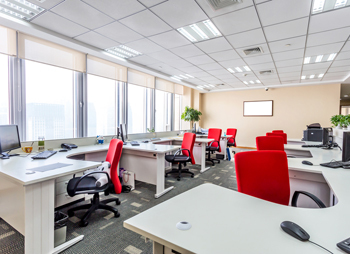 Room layout and interior design are important factors to consider when designing an office since they can generate energy, innovative ideas, and creativity. 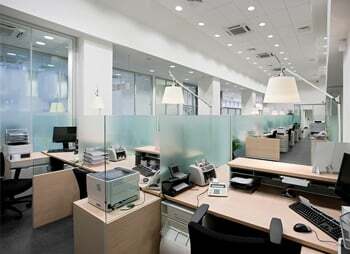 Besides proper seating arrangement, avoidance of crowded work area, adequate ventilation, and sufficient spacing, another important element that can affect the feelings and moods of a person is the lighting design. 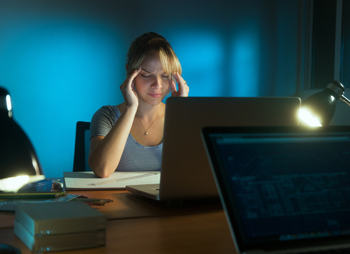 You might have previously suffered from a headache after working in certain room before or even develop migraine if you have to work in that particular location for long hours. 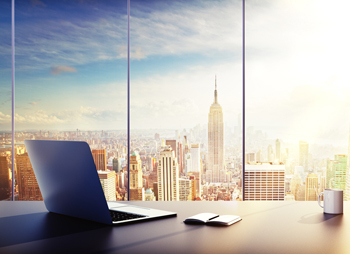 In office with windows, placement of computer screen facing directly opposite the windows can cause glare on the screen. Or when a person has to type materials from a document into a computer but there is a significant difference in the light intensity between the paper and the computer screen. What happens when there is a significant difference in lighting intensity? Normally, the human eyes have mechanisms that control the amount of light that can reach the retina by regulating the size of the pupil. The pupil diameter can be constricted using the iris sphincter muscle, a smooth muscle controlled by noradrenaline neurotransmitter of the autonomic nervous system. When the light intensity is high, the parasympathetic branch of the autonomic nervous system causes the iris sphincter muscle to contract thereby constricting the pupil and lowering the amount of light that can pass through to the retina. This process occurs automatically. For example, when we exit a dark theatre into a hallway that is brightly lit, not only do we automatically close our eyes but our pupils also immediately constrict. It usually takes a little while for our eyes to adjust to the new lighting condition. When a person has to copy information from a sheet of paper into a computer with a significant difference in the light intensities between the ambience light and the screen brightness, the iris sphincter muscle continuously contracts and relaxes causing the muscle to fatigue resulting in pain in the eyes. The person may also experience dryness of the eyes, pain between eyebrows, and soreness of the muscles in the scalp area that may progress to migraine attack. If a person has to work with such task for many months, adjustment of lighting conditions can help alleviate these problems. There are two important factors that must be taken into consideration while dealing with lighting design. The first factor is the background light or light that is already present in the work area. The table design and seating arrangement must correlate with the amount and the direction of the light that may vary throughout the day. 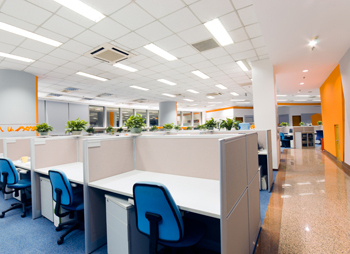 Unwanted lighting must be controlled, blocked, or diverted to indirectly hit the work area to create indirect light that minimize resistance. Can the light increase the brightness of the work area (over compliment light)? Will the light be reflected and irritate the person’s eyes? Reflection is commonly associated with excess lighting. 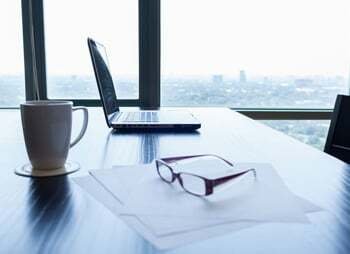 For example, light from windows may reflect on the computer screens that are placed opposite to the windows causing excessive amount of light to enter and irritate the eyes of people who are using the computer. Will the lighting cause a silhouette to appear at the workstation? Shadow can cause uneven brightness that subsequently leads to spontaneous and unwanted gazing. 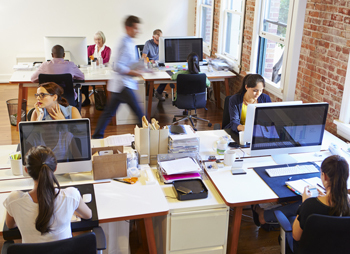 For workstations that do not require people to work over 15 minutes, it might not be necessary to control the background. 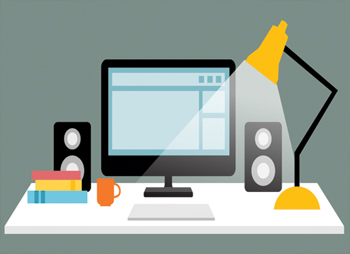 However, for workstations where people need to spend long working hours, the following tips can be used to help obtain suitable background light. First consider how much natural lighting will enter the area. Is the natural light specific to morning or afternoon? Examine how much over compliment light is obtained. Curtains or adjustable window blinds can help lower the over compliment light to a suitable level. Look to see if there are shadows over the work area. 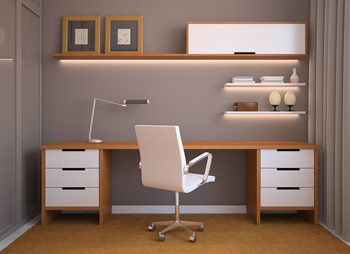 Change in the seating position and the installation of a lamp at the work area can help eliminate the silhouette. Minimize reflection on computer monitor by placing the screen at an angel with the window or facing the window where light will only enter for a brief period. Curtains, window blinds, and wooden trellises can be installed to minimize reflections. Avoid placing many items on the work bench since they can cause unwanted reflections that may irritate the eyes. Artificial lighting from outside, such as from motor vehicle head lights, should be avoided due to rapid fluctuation in light intensity. Windows adjacent to the street should have curtains installed in order to block out these unwanted light while working at all time. In the next episode, we will discuss what kind of light intensities are appropriate for different types of work based on recommendations from scientific studies and laws that govern the welfare and safety of employees. Please stay tune for the second episode of The Application of Lighting Design.